India's largest private sector lender ICICI Bank is set to expand its Chinese presence with the opening of a branch this weekend in Shanghai, China's biggest city and a major global financial hub. The branch is likely to be inaugurated on Saturday by Prime Minister Narendra Modi, who is on a three-day visit to China. ICICI Bank's managing director and CEO Chanda Kochhar will also be present. 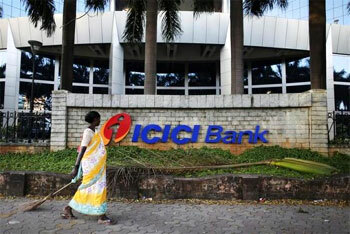 ICICI Bank, which has presence in 17 countries, already has a representative office in China and it has now got the regulatory approvals to open its first branch here, sources said. The representative office in Shanghai was opened in 2003 by ICICI Bank's then CEO K V Kamath. Kamath was last week named the first chief of BRICS Bank, which would be incidentally based in Shanghai. Some Indian public sector banks including SBI, UCO Bank, Canara Bank and Allahabad Bank have also expanded their China presence in the recent years to tap growing trade flows between the two countries. With a total asset base of Rs 6.5 lakh crore (over $100 billion), ICICI Bank is India's largest private sector lender. It recorded total income of Rs 90,216 crore and a profit after tax of Rs 12,247 crore ($2 billion) on consolidated basis in the last fiscal ended March 31. As of March 31, the bank had a network of 4,050 branches and 12,451 ATMs. The bank has subsidiaries in the UK and Canada, branches in the US, Singapore, Bahrain, Hong Kong, Sri Lanka, Qatar and Dubai International Finance Centre and representative offices in the UAE, China, South Africa, Bangladesh, Malaysia and Indonesia. Its UK subsidiary has also established branches in Belgium and Germany. ICICI bank's shares are listed in India on the BSE and NSE, while its American Depositary Receipts (ADRs) are listed on the New York Stock Exchange (NYSE). Bank's Hong Kong branch commenced business in 2005, after getting a banking license by the Hong Kong Monetary Authority. The Hong Kong branch offers comprehensive financial solutions to companies from India and in Asia-Pacific region, including trade finance and services to support India's trade with Hong Kong-China and other countries in the region.